This house has 11 bedrooms. I’d love to know more about its history. 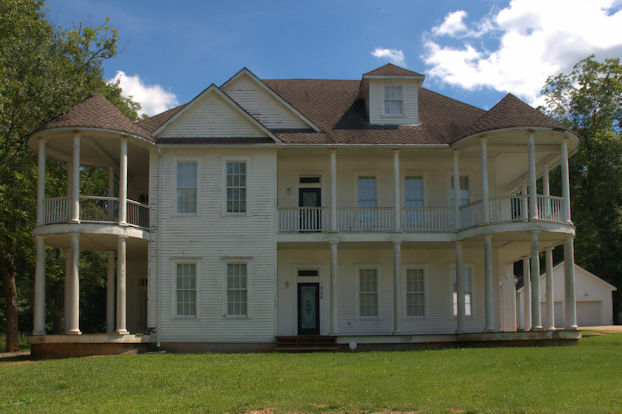 Built by pioneer Abraham Ragan in the Plantation Plain style, this house originally sat on the adjacent hill before being rolled to its present location in 1910 to accommodate the construction of Roswell J. Atkinson’s ‘The Terrace’. During the Civil War, it was open to wounded soldiers, serving as an impromptu convalescent hospital. The Ragans sold the home to Henry Harris. I’m unsure when the columns were added, but it was likely at the time of the move. Confederate veteran Samuel Monroe Davidson built this house. He served in the 31st Regiment Georgia Volunteer Infantry (Mountain Tigers) and was wounded at Cold Harbor in 1862. 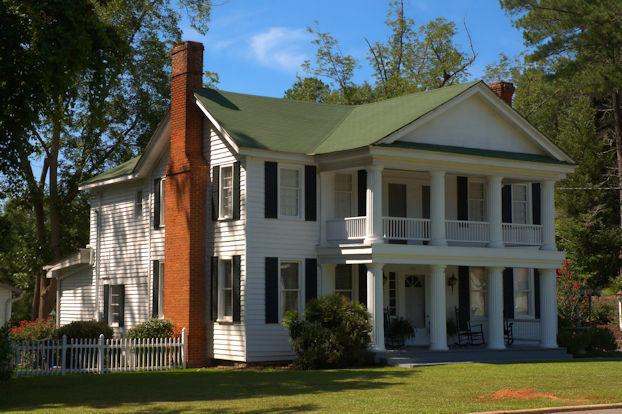 Upon his medical discharge at Macon, he settled in Greenville and built this house around 1870. He was a city councilman and was instrumental in bringing the railroad to Greenville. The Mabon family were later owners. 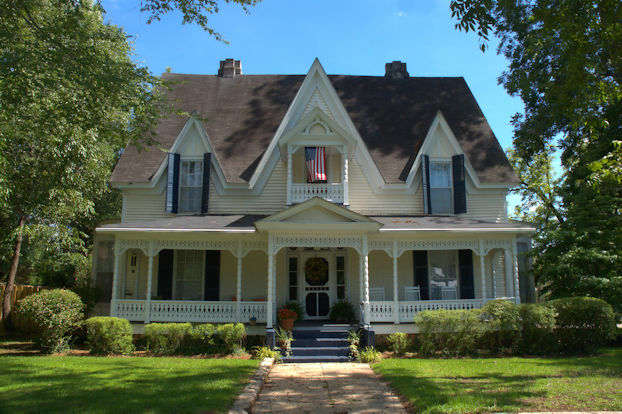 Confederate Major and state senator George Peavy built this Gothic Revival house around 1870. He and his wife were well-known hosts of social functions and it was a center of activity in Greenville for many years. Later owners were the McLaughlin and Flynn families. 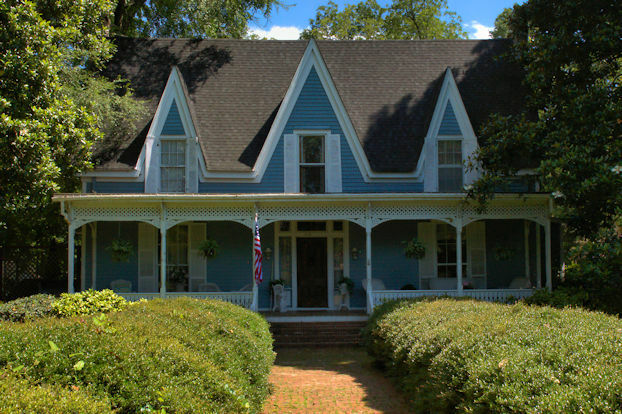 This house was hidden by trees and brush for many years and has recently been restored. I’ve not been able to locate any information on the builder or specific date; tax records indicate an 1860 construction but it is most certainly older than that. It’s also thought to have been the inspiration for FDR’s Little White House. I will update as soon as I locate more information. Originally, this house was a small cottage built by Judge Hiram Warner (1802-1881) in 1836. Judge Warner came to Georgia from Massachusetts in 1822 and eventually became Chief Justice of the Georgia Supreme Court. Around 1869 Judge Warner’s daughter, Mary Jane Warner Hill, added another structure to the extant one, creating a two-story house. 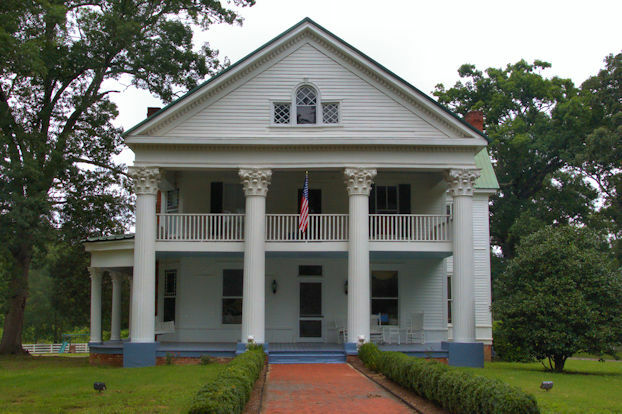 The Greek Revival appearance likely dates to this time. The Louie Cleveland Clark family purchased the house in 1934. 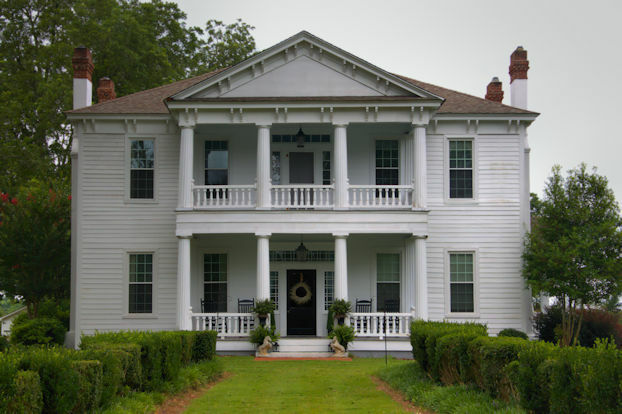 The property has long been known as Clarkland Farms and is now an event venue. Built as a Victorian, the Hill House took on its present Neoclassical appearance with a 1909 remodel. 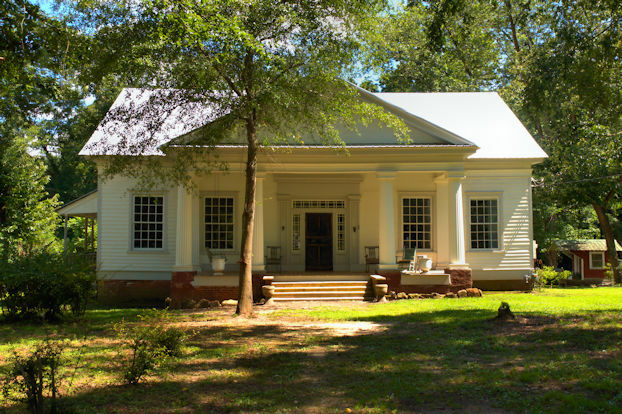 The house was designed by Mrs. Hill’s brother-in-law, Newnan architect W. A. Steed. Burwell O. Hill (1856-1918) was a prominent Meriwether County farmer. His son, Obadiah W. Hill, and grandson, J. Render Hill, both served in the Georgia legislature.